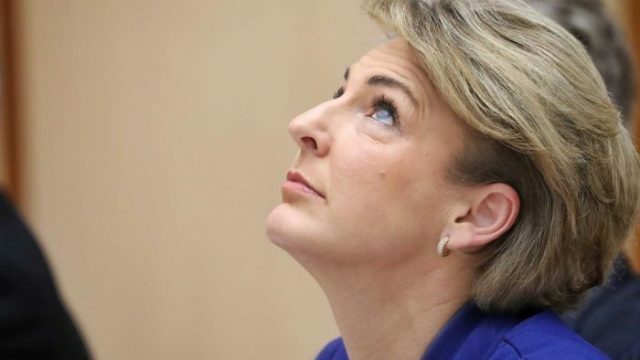 Last month, a federal scandal saw Michaelia Cash and Michael Keenan walk free, as a complete lack of accountability saw the AFP unwilling to continue their investigation. It has renewed calls for greater oversight. Well, in a reverse as typical as it is disheartening, criminal charges will not be laid against anyone involved in the AFP raid of the AWU. This includes Michaelia Cash. Sadly, another member of the AFP took their own lives. With questions finally being asked about the culture within those walls, I know that there is no easy solution. #AusPol winners and losers: Whose constitution was tested? A return to the Golden Day of Television, a spot of viral marketing and the grumblings of a questionable constitution spotted #AusPol’s Leopard this week. So, who won? As the Michaelia Cash situation spools out of control, you have to wonder who actually benefitted from this titanic clusterboink. After the AFP raided the offices of the AWU to ask about a legal donation, the discussion swirls around many things. However, I believe our collective anger might have been the goal. With the AFP unable to find anything concrete in yesterday’s raids, we twist the narrative to fit our political station. However, this thinking sets a dangerous precedent. Today, the general feeling is that just like Man Haron Monis, we had a terrorist and we let him go. However, the reality of the situation is that the solution is not that simple. A recent investigation into the AFP has turned up numerous instances of bullying and sexual harassment. However, the AFP claim they have it under control. Wow. Hope you didn’t get an early night. If you did, you missed out on the AFP’s raid of Labor’s offices, Daniel Craig is no longer Bond, and we’re no closer to the truth about MS804.